A new paper examines the U.K.’s implementation of a bold, new retirement savings program requiring auto enrollment in retirement accounts and employer contributions. So far, the program has expanded coverage to six million workers, and a total of nine million workers are expected to be covered when the program is fully implemented. 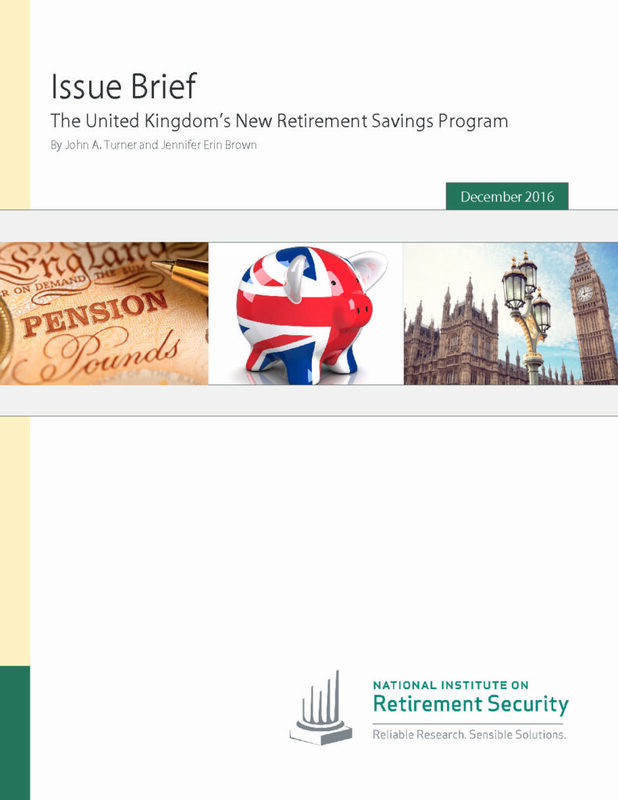 The United Kingdom’s New Retirement Savings Program, the first detailed analysis for an American audience reporting on the progress of the U.K.’s retirement policy initiative, starts by discussing the goals of the new savings program. It then describes the phase in of the program, the requirement for auto enrollment, and the required level of contributions. Next, the paper discusses the NEST program and describes its various features with a focus on its default investment option. The paper concludes with comments about the phase in of higher contribution rates and how that may affect future opt out rates.